Published Friday, November 23, 2012, 10:33 am at 370 × 244 in Does the Rule of Law still exist? 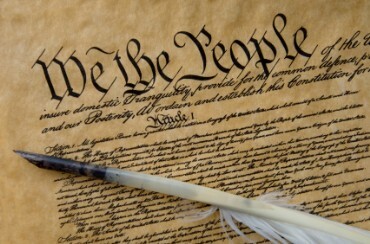 Photo of the Constitution of the United States of America. A feather quill is included in the photo.The Constitution of the United States is the supreme law of the United States of America and is the oldest codified written national constitution still in force. It was completed on September 17, 1787.